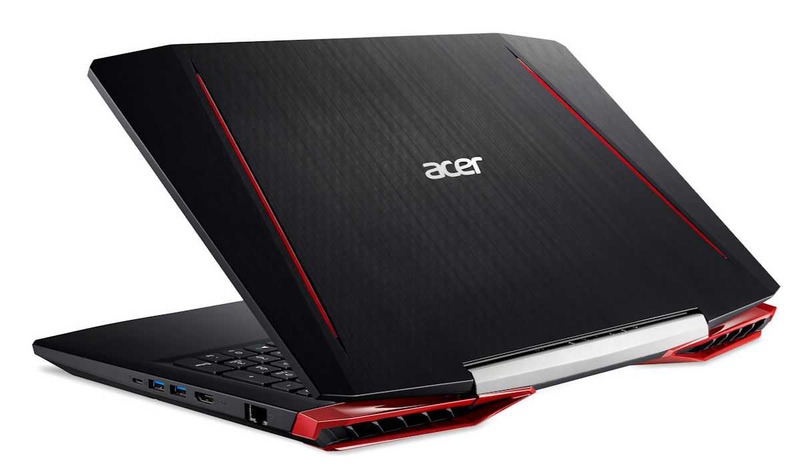 Today Acer announced it’s affordable Aspire VX15 gaming laptop. Acer Aspire VX15 is powered by the latest 7th Gen Intel Core i5/i7 processors and NVIDIA Geforce GTX 1050/1050 Ti GPU with dedicated GDDR5 VRAM. You can get 16Gb of DDR4 RAM which is upgradeable up to 32 GB, as well as storage up to 1TB HDD. The laptop also features Dolby Audio Premium, a red backlit keyboard, a USB-C port, a full-sized HDMI port, two USB 3 ports, one with always-on charging, and a full-sized SD card slot. The laptop is designed to bring performance, responsiveness, entertainment and longer battery life. The Acer Aspire VX 15 will be available in January starting at $799.